Seventh Heaven - Why one European river cruise is never enough! - FBI Travel - Holiday Tailored holidays - luxury travel - holiday packages - club med - cruises. At FBI Travel, we’ve worked hard to build comprehensive industry relationships around the globe that arm us with expertise, flexibility and control. Danny and Mark experienced the best of European river cruising. History and culture dominant the European landscape. However, while modern life is slowly taking over many centres, there's one remnant that continues to literally connect us with the past - rivers. Europe is home to several of the world's longest rivers, passages that have been used for everything from trade and war to food and farming. These rivers still carve the same paths as they did centuries ago, allowing us today to share these experiences and enjoy a more stress-free approach to travel across Europe. In fact, all you need to do is choose where to go! 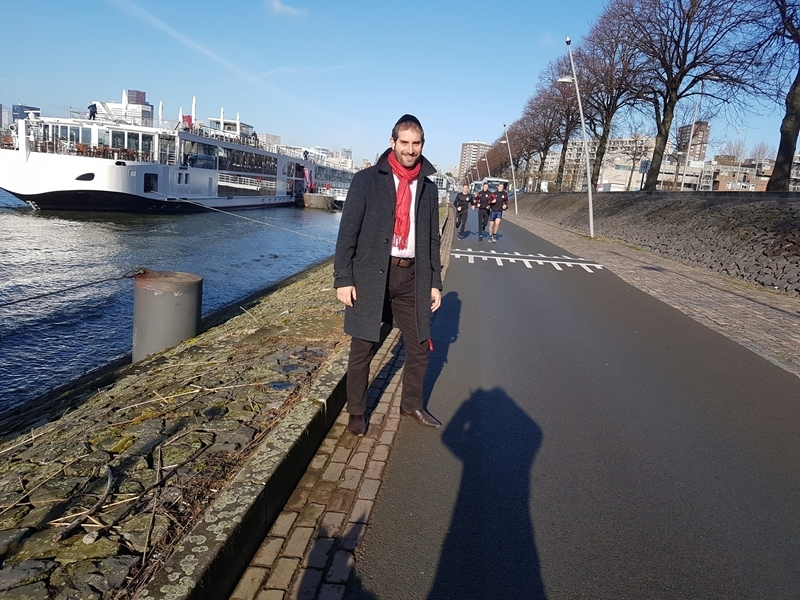 Recently, FBI Travel Director of Sales Danny Englman got to see the beauty of river cruising in the Netherlands up close. 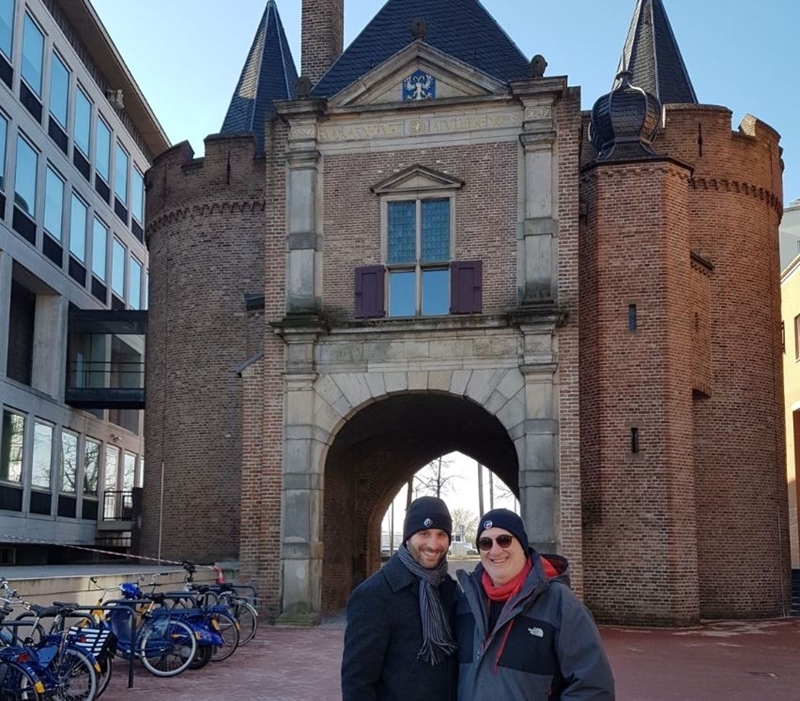 As part of the Virtuoso Symposium based in Amsterdam, Danny alongside FBI Travel CEO Mark Chaskiel, joined the Viking Longship 'Mimir' on a multi-day conference and tour which wound its way around several historic towns. Of course, with more than 500 people at the Virtuoso Symposium, not everyone could fit on the same boat. 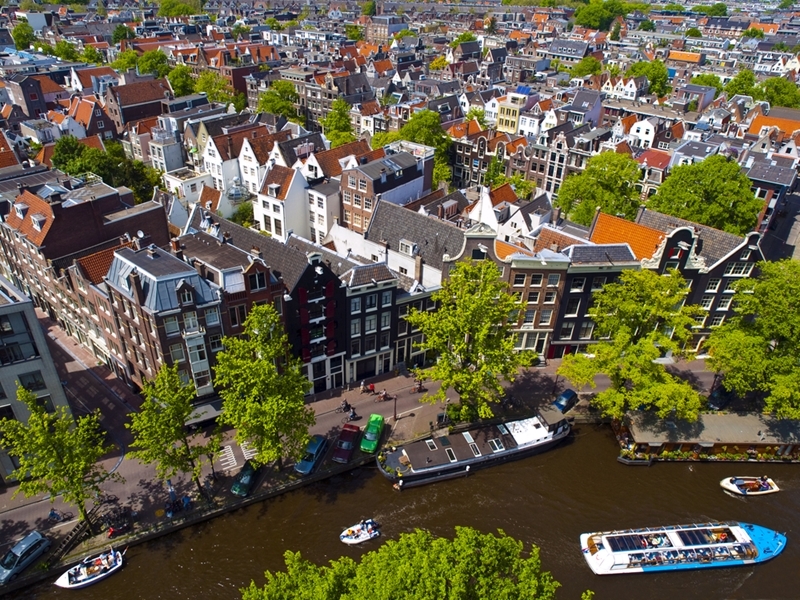 To showcase European river cruising in all its glory, there were no less than seven cruising companies in the flotilla, creating a visual spectacle for those involved and allowing Danny to check out all the different options available for our clients. "This unprecedented showcase of luxury boats lined up side by side for the first time ever allowed us the opportunity to inspect the best each and every boat in detail and use that in depth firsthand knowledge to match and handpick the right cruise lines for each and every client," Danny said. Named after the Norse God of Wisdom, the 135m Viking Longship 'Mimir' is a grand sight on the rivers of the Netherlands. It features no less than 95 staterooms, with all suites having a French balcony in the bedroom and a veranda off the living room. Viking is the largest river cruising company in Europe and this is reflected in the fantastic service and premier docking locations they have. "The crew were very polished and knew what they were doing - everything was well organised," Danny said "It's very much the Nordic-style, luxurious, but very understated. Viking ships are meant to feel comfortable and homely - very easy to relax at night and this is what they're aiming to achieve." Danny and Mark each stayed in Veranda Staterooms which feature floor-to-ceiling sliding glass doors that open to a full-size veranda and balcony. 'Mimir' also has a restaurant with floor-to-ceiling windows for panoramic views, a library corner and free Wi-Fi - elements that can ensure you can relax and enjoy your time on the ship in pure comfort. Crystal Cruises are considered to be at the pinnacle of luxury cruising, one of the most recent additions to the European rivers is Crystal Cruises and it's clear to see that the new boat "The Bach" has quickly become a market leader in excellence. Crystal Cruises are considered to be at the pinnacle of luxury cruising and their river boat the Bach certainly live up to expectations. From the outstanding Petite Suite with Panoramic Balcony-Window to the classy Two-Bedroom Crystal Suite with Panoramic Balcony-Window, every room comes with luxury furnishings that you'd expect in a five-star hotel. In addition to this, the plush dining rooms, pool and spa and conference rooms further boost the elegance of the Bach. For those who enjoy traditional old world European luxury, you will love the SS Antoinette. Step back to a daring interpretation of Marie Antoinette's France Uniworld has meticulously taken luxury elements from around the world and carefully built a river cruise ship around them. The 135m, 154-passenger S.S. Antoinette is Uniworld's first Super Ship and cruises the waters of the Rhine. From the 19th-century Venetian glass mirror and 10-foot blue Strauss Baccarat chandelier to the fine Brazilian marble on the walls and floors, the S.S. Antoinette is a floating work of art that exudes luxury and opulence. Every stateroom and suite features the finest handcrafted Savoir of England beds covered in 100 per cent Egyptian cotton sheets alongside European duvets. Of course, from every room you can enjoy the European scenery from your own balcony - sipping a cup of tea as you float by. Built on the tradition of luxury group tours, Tauck has become the unrivalled market leader on land tours. Tauck river cruises focus on what they do best with "Above & Beyond" service, attention to detail and the absolute best guides. The 'ms Savor' cruises down the Danube River, stopping along many of Europe's largest and oldest cities including Munich, Nurnberg and Vienna. As such, there is an effort to provide the most comfortable experience possible after a long day exploring on-shore. From thick pillow-top mattresses and the exclusive Essentials Line of Molton Brown bath products to 400-thread-count satin bed linens made from the finest combed cotton, your comfort is a priority on Tauck. It's also important to include the fact that Tauck has the largest suites of any river cruise ship on any European river - extending to a massive 300-square-foot on the ms Savor. 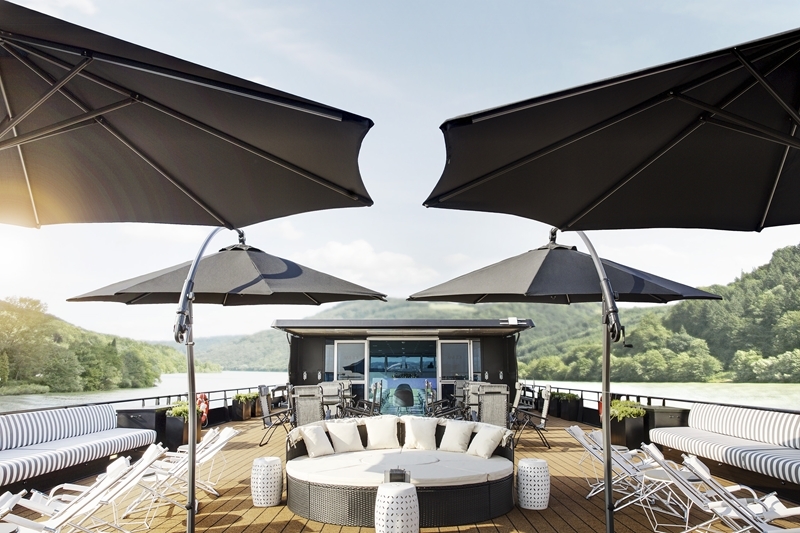 This means if you want space to relax and unwind from the day exploring, Tauck is the river cruise company for you! Launched in 2017, the AmaKristina offers a distinctive river cruise experience - taking the principles of luxury yachts and river cruising to a new level. With fewer passengers on-board, lounges and restaurants are never overcrowded, allowing you to enjoy the variety of dining venues, like the Main Restaurant and The Chef's Table. AmaKristina is a member of La Chaîne des Rôtisseurs, the exclusive international culinary society. This means every dish that you're served is made by some of the best chefs in the world producing exquisite, locally-inspired cuisine. Take advantage of the massage and hair salon to really relax while on-board. Another river cruise boat involved in the Virtuoso Symposium was the 'Expression' from Avalon Waterways. Considered at the cutting-edge of technology, 'Expression' features two full decks of panorama suites with wall-to-wall panoramic windows - creating a unique open-air balcony that you can't get with other boats. As such, you can wake up each morning and sun yourself in the warm rays of the European summer. The 'Expression' is one of the those cruise ships that has everything covered for your journey. From a range of dining options to a fitness centre and spacious Sky Deck, it's easy to climb on-board and leave your worries at the dock. Everything seems easy on the 'Expression' - ensuring you can see the sights of Europe knowing that you have somewhere comfortable, luxurious and spacious at the end of the day. As one of the newest players in the river cruising game, U by Uniworld are aiming to redefine this type of holiday by appealing to a newer generation of traveller. 'The A' is part nightclub, restaurant, yoga studio and hotel - everything that a modern boutique hotel on the continent would offer. 'The A' operates on the Rhine, Main and Danube rivers which means your party adventure can span multiple countries including the Netherlands, Germany, Austria, Slovakia and Hungary. One of the coolest parts of this river cruise is the rooftop lounge. The glass that surrounds the room can disappear into the floor - creating a fun open-air hangout where you can enjoy local guest DJs, cocktails and the finest modern cuisine that Europe can offer. If you're up for a bit of fun, this is the river cruise for you! Where will your next river cruise adventure take you? As Danny explained, river cruising is a remarkably easy way to see parts of Europe that you would never otherwise get to. With all the different options out there it is so important to match the right client to the right river cruise. As long as you're keen to see the wonders of Central Europe and enjoy the slower pace of river travel, there is a cruise company to match. Please reach out to your dedicated FBI Travel Advisor today to help you find the right river cruise for you.